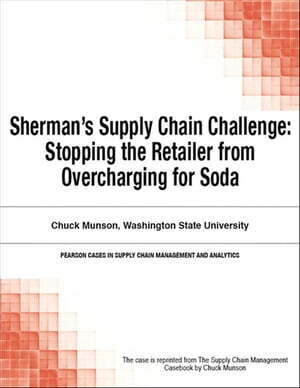 Collins Booksellers - Sherman's Supply Chain Challenge by Chuck Munson, 9780133758122. Buy this book online. This new case study challenges students to identify the optimal pricing strategy to maximize profitability for both a soda manufacturer and its exclusive distributor: a price strategy that will resolve excess capacity and inventory problems caused by higher-than-necessary retail prices. Crystallizing realistic pricing challenges faced by companies in many industries and markets, this case study offers exceptional value to both students and practitioners. Author: Chuck Munson, Washington State University.